Your nails, hair, and skin may be ruined because of stress, wrong diet or bad treatment application to your body. You may want to consider taking a new approach to getting your locks, nails, and skin back into shape. If you are having problems coping with damaged body parts mentioned, then now is a great time to consider using biotin to help give you the boost your body needs to pick back up again. Knowing the best time to take biotin can help put you on the right track for better-looking locks, skin tone and fingernails as well as toenails. Biotin or vitamin B7 is a supplement booster that you can take to get healthy skin, nails, and hair. It adds a number of advantages to your body and boosts your energy level as well. Some of the foods you eat already contain a certain amount of the product in them. Taking the supplement will strengthen the amount already in your body while adding beauty and glow to your skin, nails, and hair. When should you take biotin? 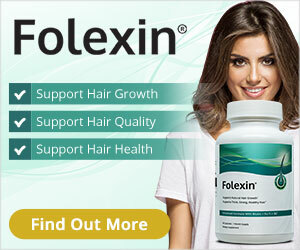 For some people, taking biotin in the morning is preferred and for others, it is just before bedtime for them. However, as a water soluble supplement, the drug can be taken any time of the day and still gives you the same result. Most times, doctors prescribe drugs for their patients and advise them to take them immediately after a meal because some drugs can only work on a full stomach. It is not so with biotin. Instead, since the product is not a fat soluble you can take it whichever time of the day suits you fine. Still, if you find that you are experiencing stomach irritation after taking biotin on an empty belly, you should then start taking it on a full tummy to see if there are any noted differences. For most people, however, they tend to take the supplement when it agrees with their bodies most. This strategy of taking the supplement according to your body language is a logical approach to minimizing any side effects. During the day period, you are always very busy doing a number of things to get on with your day. The supplements you take during the day may not have the same positive effect they have on your body during the night as you sleep. At times, the multivitamins taken at night may have a negative effect on your sleep thus causing you to wake up prematurely during the nighttime and finding it difficult to go back to bed. If this is the case with you then it is advisable that you take biotin in the morning or during the lunch hour. Some nutritionists feel that the best times to take supplements are at night just before bedtime. This is because during sleep your body is being restored. Old cells are being replaced by new cells as you rest and so taking the product just before sleeping will boost your body’s efficiency in the right direction. If you are pregnant and troubled with morning sickness, you can opt to take your vitamin B7 in the mornings so you can get a good night’s sleep. Pills taken at night before going to bed can limit any adverse side effects that might be troubling to you. Some nutritionists also reason that since biotin is a vitamin B supplement, it may be better for you to take it with breakfast or a lunch meal. The foods you eat are turned into energy that promotes your immune system, thus, taking a supplement with a meal or light snack will add benefits to your body. In fact, when biotin is taken before eating a meal, you have less chance of suffering side effects that are usually associated with taking pills. Another way to combat side effects is for you to take half the usual daily dosage of the product in the morning and the other half at lunch. Just make sure to take each half dosage with a meal. After taking biotin, the product must digest into your system properly for it to work. If you should happen to take over the amount dosage, your body will reject the excess amount through the process of excretion. Therefore, you are really out of harm’s way if you should take too many vitamin B supplements over the amount that your body can handle. Since biotin is a water soluble substance, it can be taken any time of the day and there is no chance of your body having difficulty absorbing it. Other vitamin B and C compounds, when taken together, can cause a mixture of interaction problems. They may interact wrongly with the food we eat or trigger absorption difficulties in our bodies. Before going on any multivitamin dosage whether at night or during the daytime, it is best to speak to your doctor for his or her advice beforehand. The physician may ask you some questions such as your past history of taking vitamins and which ones you are presently on before determining which time is right for you to take them. In addition, let your doc know that you are interested in taking biotin and the results you are expecting to see happen after taking the drug. Once you start noting the changes happening to your hair, nails, and skin, others around you will notice them as well. You will become the celebrity among your friends or one of the most best-looking people standing in a crowd. Your life will take on new meaning and you can attribute it to the supplements you are taking. I’ve been taking Biotin 1000 mg for 45 days. My skin is glowing. My nails are beautiful. My hair is getting stronger. And, my energy level has increased. My daily feel good pill.